Luckily I didn’t hit the free bar too much last night so I’m in fairly fine fettle to Parkrun this morning. With MD now having his 50 up, I decide to do one on my own just to see what I can do. The result is 22:10 at Long Eaton which is a new PB but only by 4 seconds from my best with MD. Admittedly this was a few years ago as we’ve being doing 23s recently. It’s slower than I hoped, I’m sure I’ve got a high 20 or a low 21 in me still. In fact I ran 20:44 in the 5k of 1997’s Grand Prix on the Embankment. I’ve just not been able to recreate it at Parkrun. Afterwards L goes into town shopping and I'm informed that I’ve bought her a dress for Christmas. That’s fine, glad to be of service. This weekend it’s the Track Cycling World Cup at the London Velodrome. We have opted not to go and to save ourselves for the World Championships which are in Pruszków, Poland. Although I’m still waiting for tickets to go on sale, L has already been eyeing up the Parkrun possibilities in nearby Warsaw. However if I’d known that the team from Derby Velodrome were going to be tearing the opposition to shreds in the team pursuit I might have still gone. 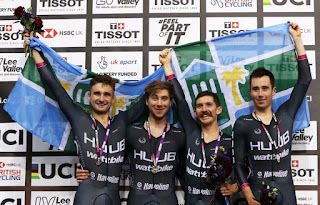 Team HUUB Wattbike, formerly known as KGF, have really taken to the city of derby and refer to their new home and training base as ‘The People’s Republic of Derbados’. 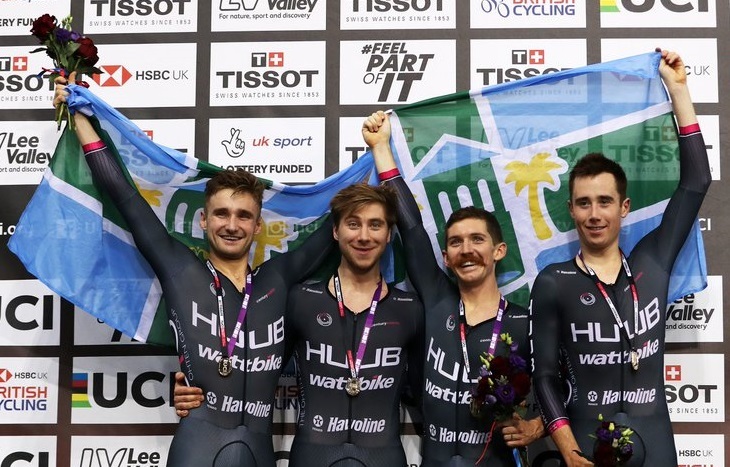 Huub are also based in Derby and Wattbike in Nottingham, so it’s a real local project that shows what a success the Velodrome has been. Not that you’d know it if you read the local media. They win by the way, of course. This weekend we check out possibly the 103rd relaunch of the Golden Fleece on Mansfield Road. It is now under the ownership of the chap who runs the Old Angel and it’s Microbrewery. In one way this is good news because the Old Angel is thriving. On the other hand we’ve hardly ever managed to get served in the Angel, so I just hope he gets better bar staff in. It’s fairly quiet when we go, so we do get served. The beer range is ok but not great. I think L likes the place more than me but I drag us up the road to the Poacher which is more to my liking.